Siblik Elektrik is an electrics wholesale company that represents well-known manufacturers in the fields of electrical and building/house-automation technology. 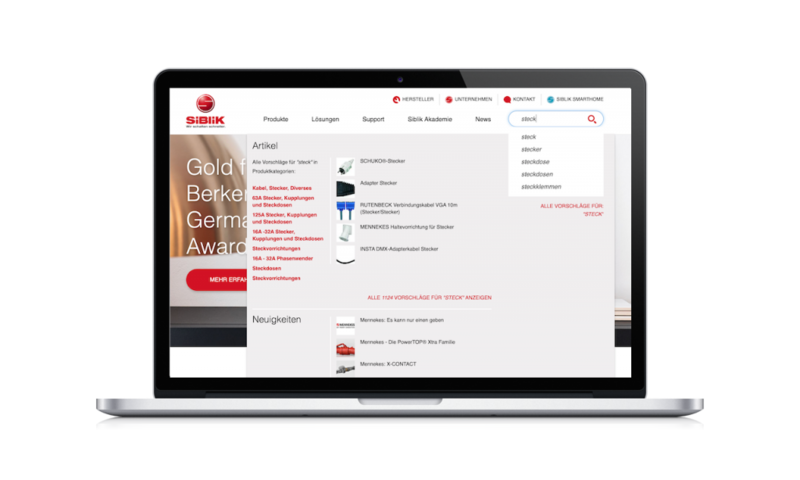 Siblik has a unique, extensive range of products with thousands of attributes, which are at the clients’ disposal to use as filters, so as to easily refine their search and select products. 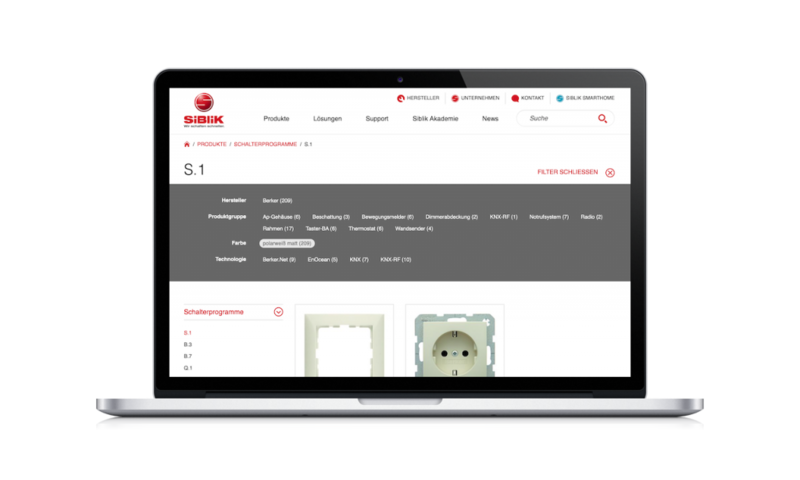 The search of Siblik Elektrik supports diverse setups for visitors in the public area of the website, for clients on the extranet and extended access for employees on the intranet. 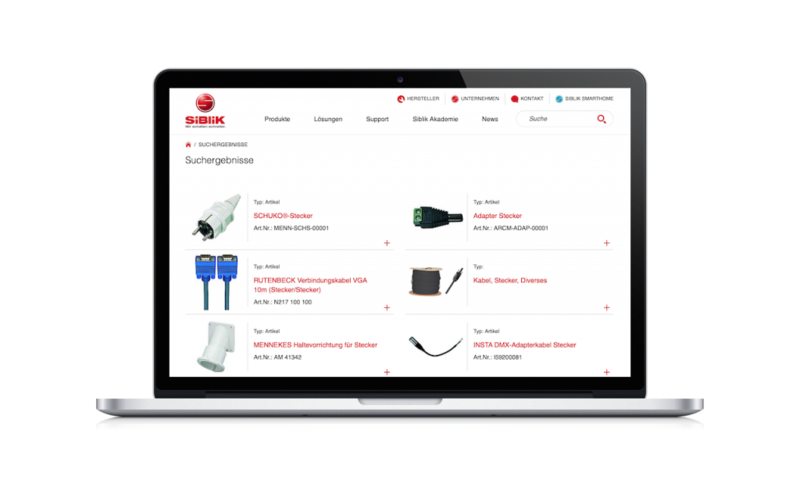 We helped Siblik to establish their slogan “We switch faster” also in their e-commerce search. 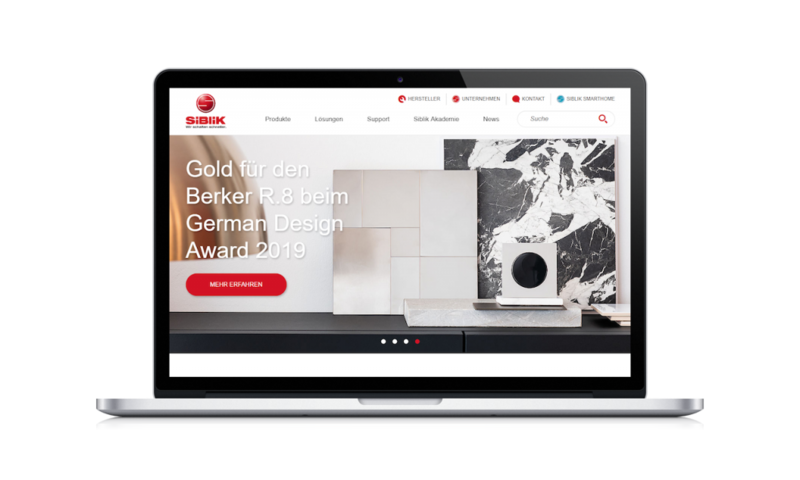 “Search is everywhere” – In addition to the search itself, the navigation and all SEO pages for product categories are also delivered through the search. “Analyze and query product numbers” – To make it easier for customers to find product numbers, the search recognizes blanks and special characters in product numbers and still assigns variable representations to the correct products. “Multi-layer access authorization support” – Indexing, storage and retrieval of content takes access restrictions into account (using Access Control Lists).